Because they are part of the key elements for ultimate rest, Naturalex has developed an ergonomic pillow. 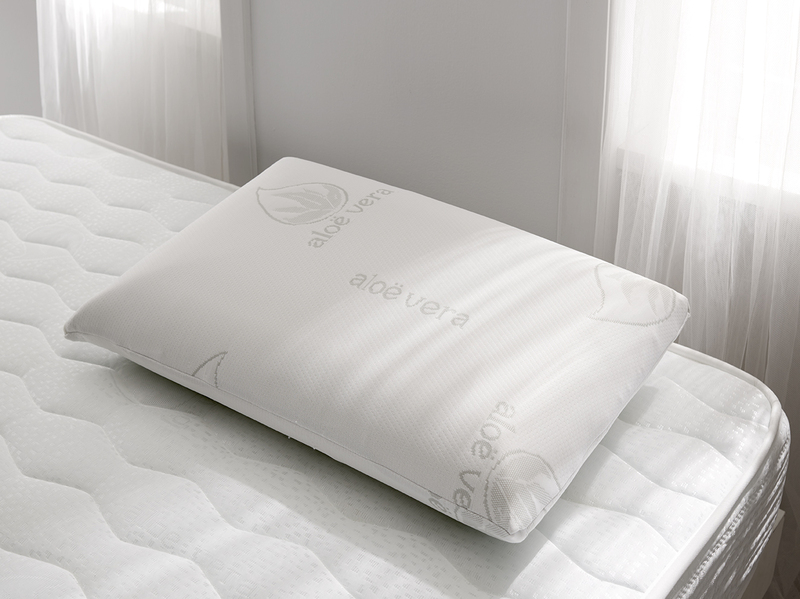 Our viscoelastic foam pillow nicely supports your head and neck. The Air Fresh® technology of the foam controls your temperature and avoids sweating. The pillow comes with a removable cover enriched with aloe vera extract, well-known for its antibacterial, antioxidant and moisturizing properties and for being hypoallergenic. It is recommended to people with feather allergies, they are all Oeko-tex® certified and are hypoallergenic. Our pillow is the best match to a Naturalex mattress.